As it is Holocaust Memorial Day, it seemed appropriate to continue with the theme of gravestones and remembering the dead. I did not think that, traditionally, Jews approved of depicting human figures and I thought this would be even more strictly censored in a cemetery, where complex beliefs about body and soul come into play. 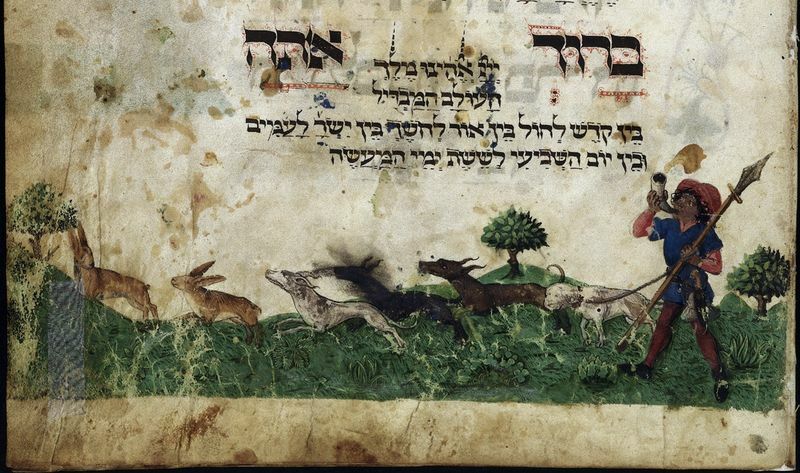 I remembered seeing Jewish mediaeval manuscripts with intricate patterns of plants and animals, but, after looking again at fantastic online collections like the British library’s, I found that humans were also portrayed. 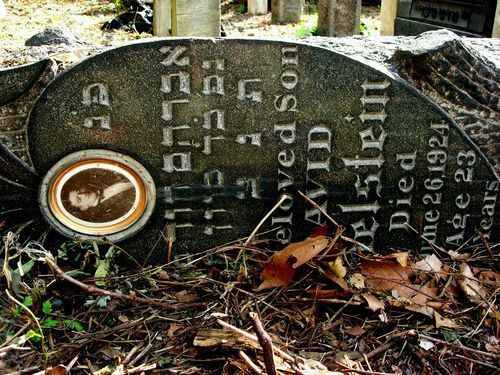 Online images of Jewish cemeteries and gravestones often focus on vandalism and destruction, although rarely are faces actually destroyed. 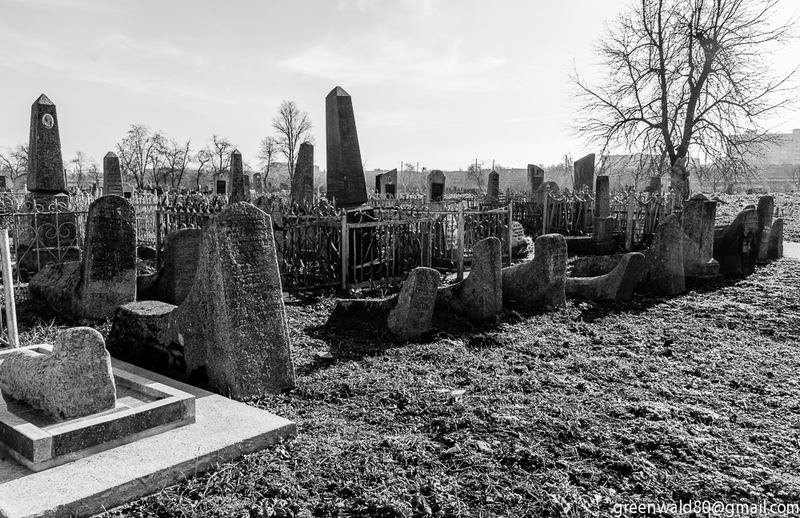 Some gravestones, especially in Belarus, where most of the cemeteries were destroyed by the Nazis or the Soviets, appear to be the simplest of markers, rough stones with writing, although it is sometimes difficult to tell whether the stone has been broken. In some cases the writing seems to neatly fit into the shape of the rough stone. 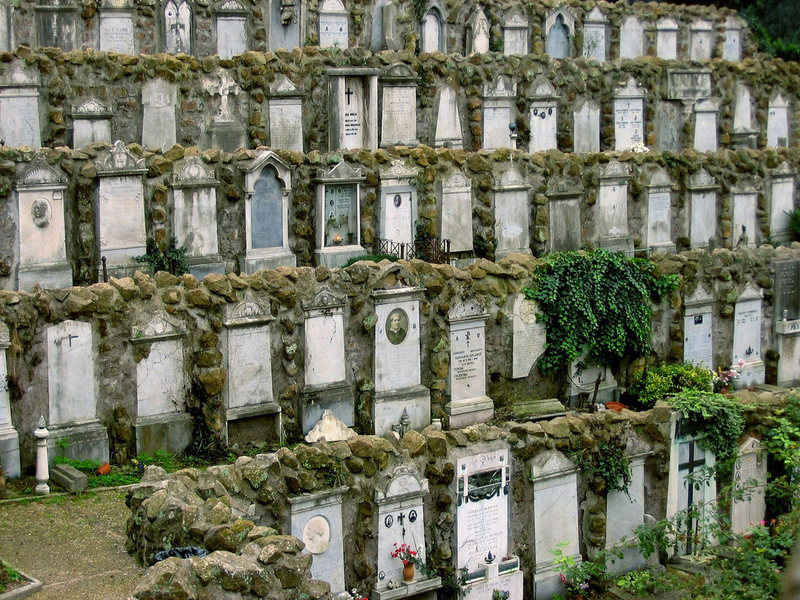 It is a Jewish tradition that gravestones should be very simple so that everyone is equal in death. 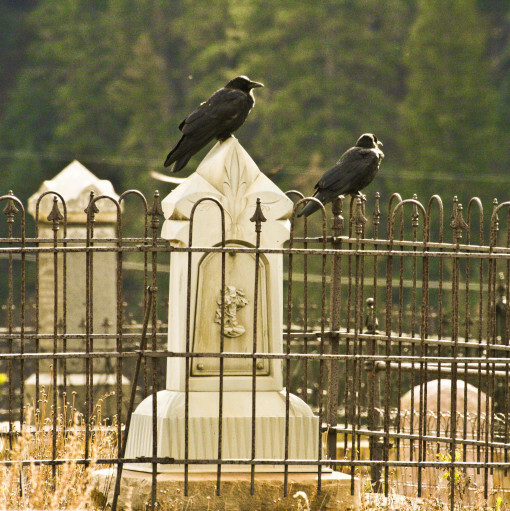 Gravestones were seen primarily as a marker, before cemeteries were formalised, not as a memorial. 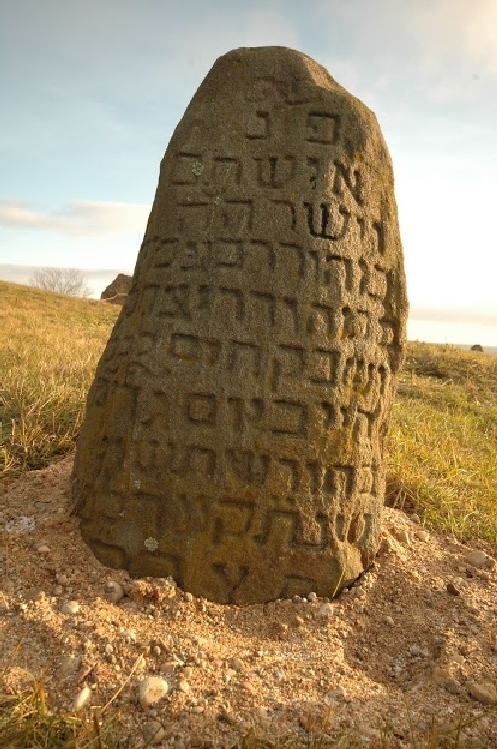 One explanation of why Jews put pebbles on gravestones when they visit is that, originally, Jewish bodies were buried in an open plot or field without a casket or gravestone, and stones were put on the site as markers and to protect the site from animals. People would bring more stones when they visited to make sure the grave was still marked and, in that way, a larger stone might become a permanent marker. 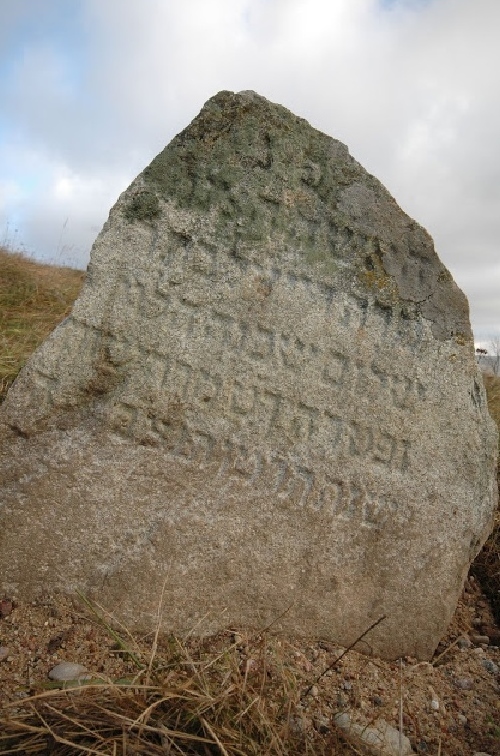 There is a website of over 300 images of gravestones being replaced in the Jewish cemetery in Novogrudok, where my grandmother was born, and many seem to be very simple rocks with writing (https://sites.google.com/site/jewishnovogrudok/ ). The two Hebrew letters at the top of these gravestones mean ‘Here lies’, so it is clear that the tops of the stones have not been broken. 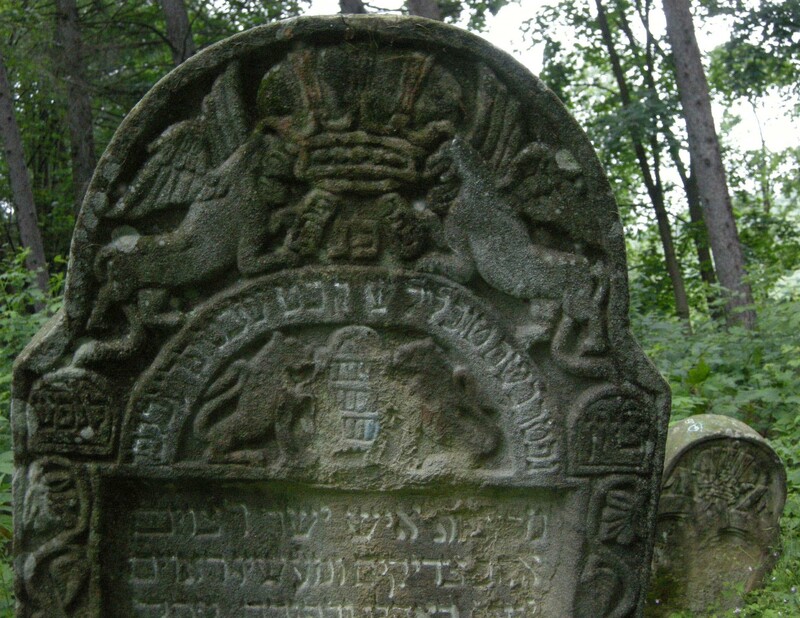 Most Jewish gravestones, however, are cut into rounded or angled shapes and often have intricate carving of patterns and symbolic images, stars of David, menorahs, candlesticks, blessing hands, animals and broken trees (for those whose lives were cut short). There is a beautiful webpage on the gravestones of the Jewish cemetery in Lesko, southern Poland (http://riowang.blogspot.co.uk/2010/08/lesko-jewish-cemetery.html), and, in fact, this entire travel blog which includes many Jewish sites in Eastern Europe, the Middle East and Ukraine, including Odessa, is filled with magnificent photographs and stories. Wondering if the Feld family had been influenced by gravestones in Berdichev, I looked at images of old and new sections of the Berdichev cemetery, but it was difficult to tell at what point photographs had begun being used. 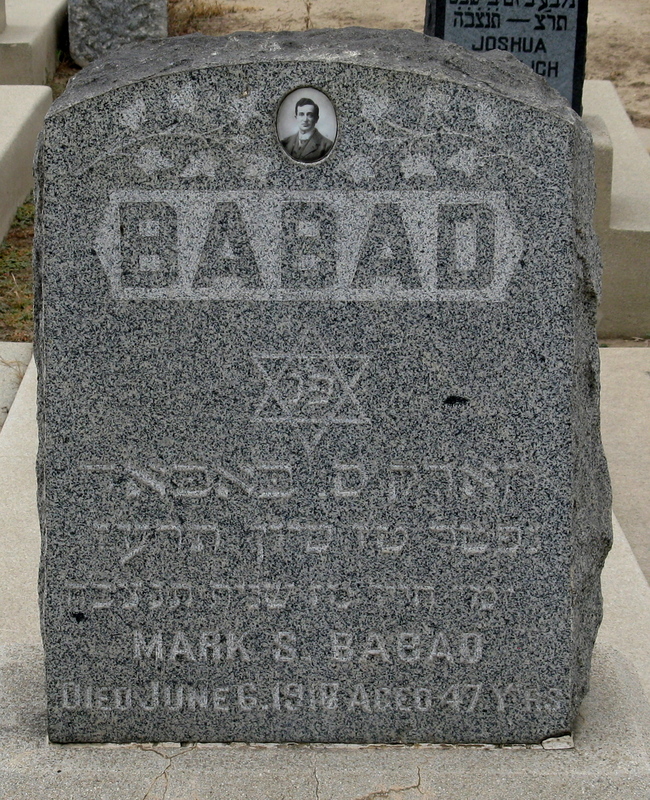 I next turned to Jewish cemeteries in America to see when and how often they used photographs on gravestones and found that the idea had been brought to America by Eastern European Jews in the early 1900s and photographs were used mainly after 1915 when the technology for putting them on enamel or ceramic became more readily available. This cemetery in Los Angeles had many photographs on gravestones on the Find a grave website (http://www.findagrave.com/). 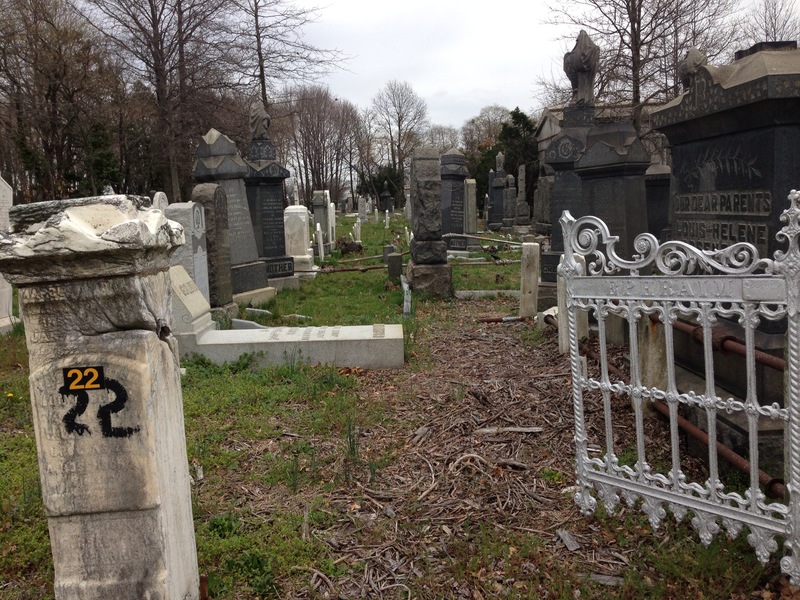 At one of the oldest Jewish cemetery in New York, Bayside Cemetery, where a great-aunt of mine was buried after her suicide in 1897, age 32, photographs on graves are not obvious but there are some. 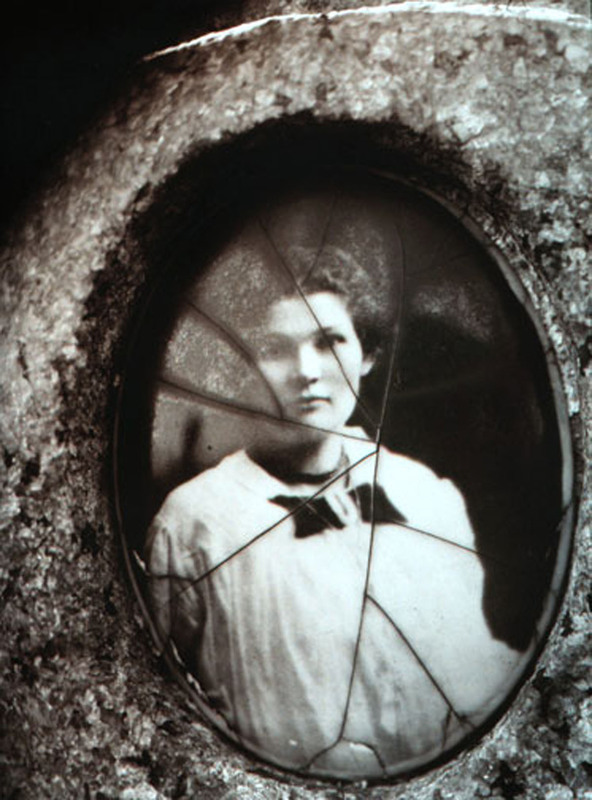 Studying the photographs that did appear on gravestones, I began to think that people might most feel the need of a photograph for a child or young adult, as there would have been so little time to build up memories of the person changing through time. 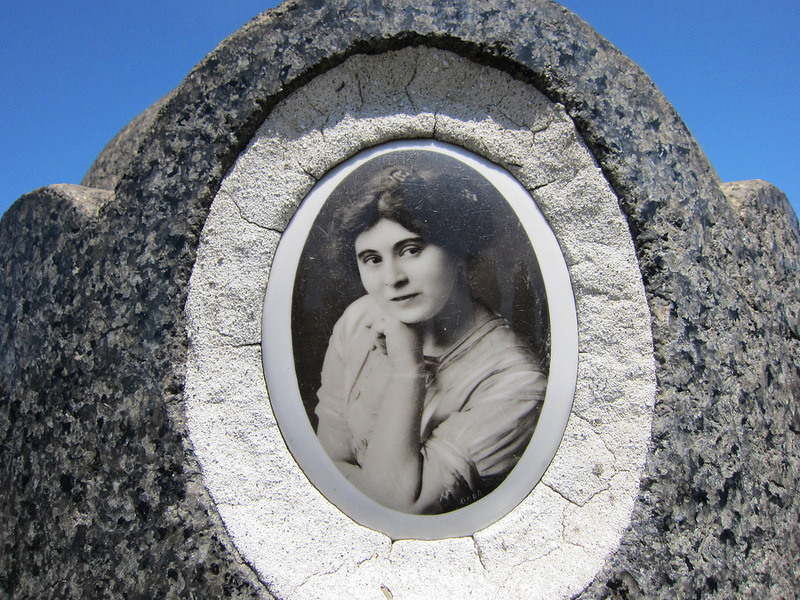 This might be why, even though there were no portraits at the Riverview Cemetery, one was chosen for Norma Field. Many of those who died in the pogrom were also young people from the age of 15-25, who did not have a grave or marker, so this digression into photographs on gravestones is a small memorial to them. 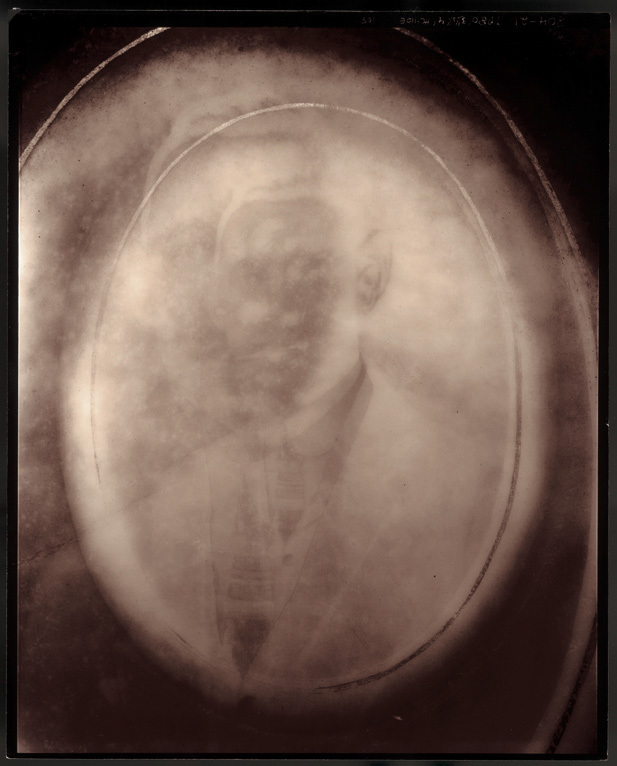 In 2001, a photographer, John Yang produced a photographic exhibition and book of gravestone portraits from the largest Jewish cemetery in New York, Mount Zion Cemetery, concentrating on the photographs that had weathered away leaving only the ghosts of the graves. In a way, these young people grow older as their images break, crack or wear away. I continued to puzzle over the hooks in the empty hole on Norma’s gravestone and tried to find other damaged gravestones that might have made their use clear. There were screws holding metal covers or metal frames for the photographs, but no hooks. I only found one gravestone with a similar but less deep gaping space. 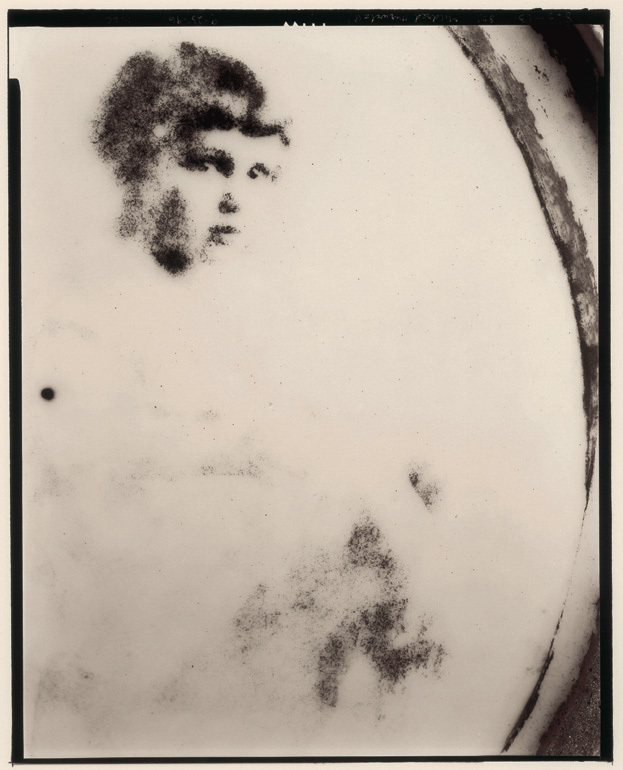 Most photographs were oval-shaped, unlike the large round circle on Norma Field’s gravestone, but this small, but haunting, photograph of a young woman in a Lutheran Cemetery in Minnesota, who died in 1918 possibly in the flu epidemic, was the first Protestant photograph I had seen, and the first round one. Possibly because I was brought up in a family where our Russian past or any past did not exist, cemeteries did not exist, I did not know about pebbles on graves, and I had no idea where family members were buried, whether in neat manicured cemeteries or mass graves, I am always trying to make up for this gap, endlessly putting metaphorical pebbles on graves. 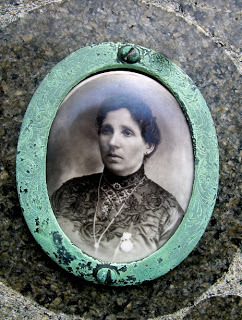 While searching through images of people immortalised by enamel photographs on gravestones, many of which have remained remarkably clear over time, I could not help perusing other striking images of graves and memorials online. 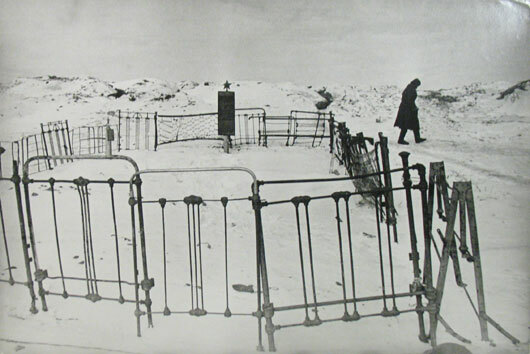 Particularly, I came upon this marking of a mass grave from Stalingrad and was intrigued by the fence made from iron bedsteads, springs and other bits and pieces. 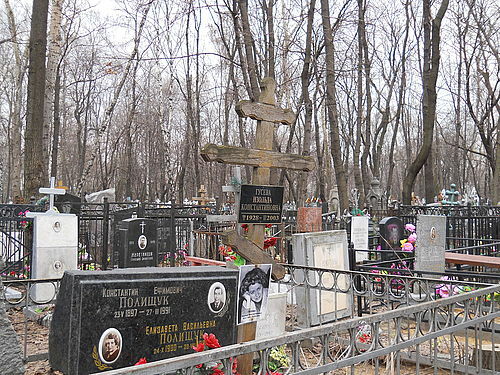 I had noticed that some family plots in Russian cemeteries have metal fences marking their area, quite different from cemeteries designed as open fields dotted with stones, as they may have originally been. 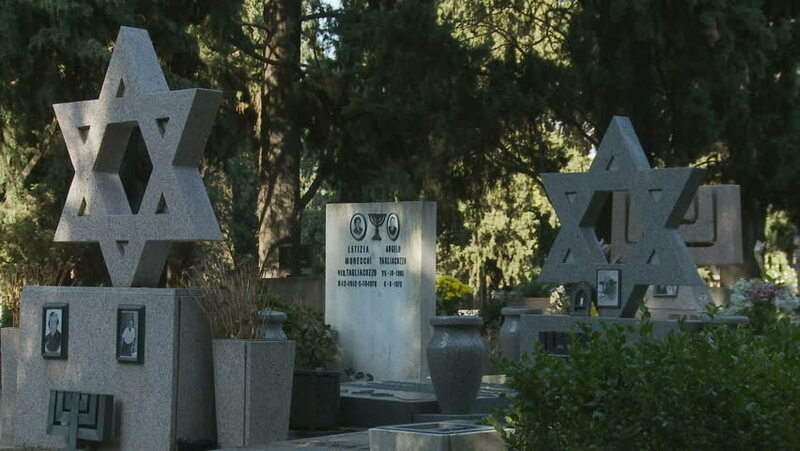 I then found this photograph of the Jewish section of the Bishkek Ala-Archa Cemetery in Kyrgyzstan, in which each plot has its own metal fencing, a striking image against the branches of the winter trees in the distance. 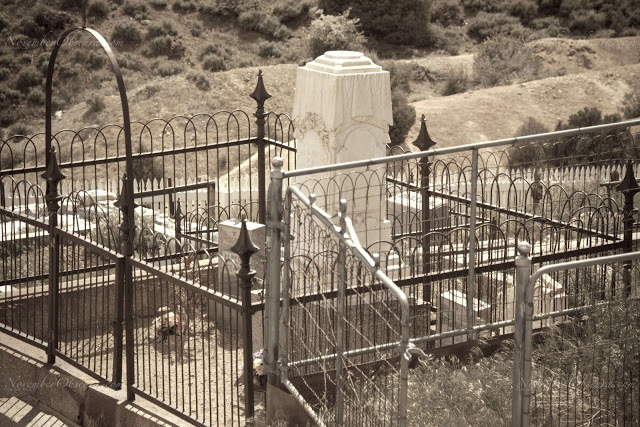 My first thought was that the fence was to delineate and protect a family plot, but then when I began searching for more images, I found many fenced plots in rural western America, in the desert or mountains, where the cemetery itself was not fenced and the fences may have been filling a need for some delineation or protection from animals. 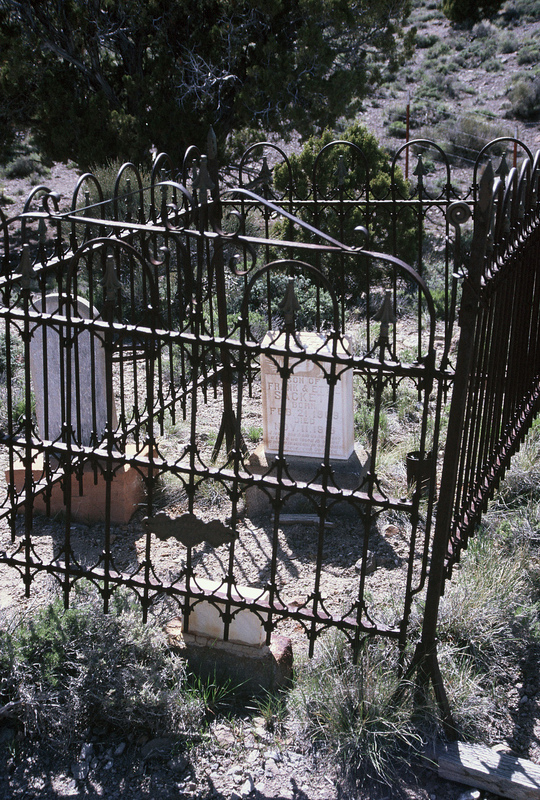 I remembered that in very unpopulated areas, like the Kentucky Appalachians, there were tiny family graveyards dotted on the hillsides and I did find photographs of iron fences there too. 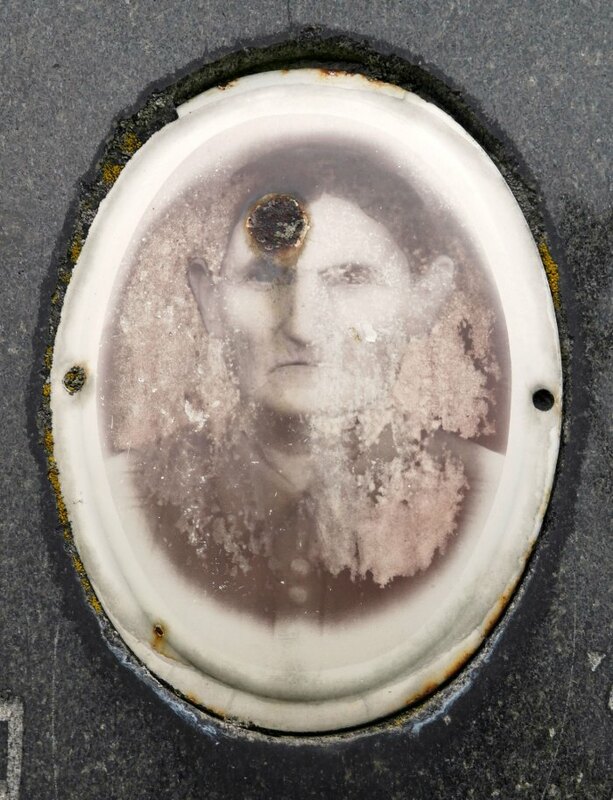 The series of photographs at the Colorado cemetery included several images of brilliant orange lichen, one of which included this monument with a destroyed photograph, again quite different from the hole on Norma Field’s. Like many with photographs, this is the gravestone of a child, symbolised by the lamb (https://rprtphoto.wordpress.com/tag/headstone/). 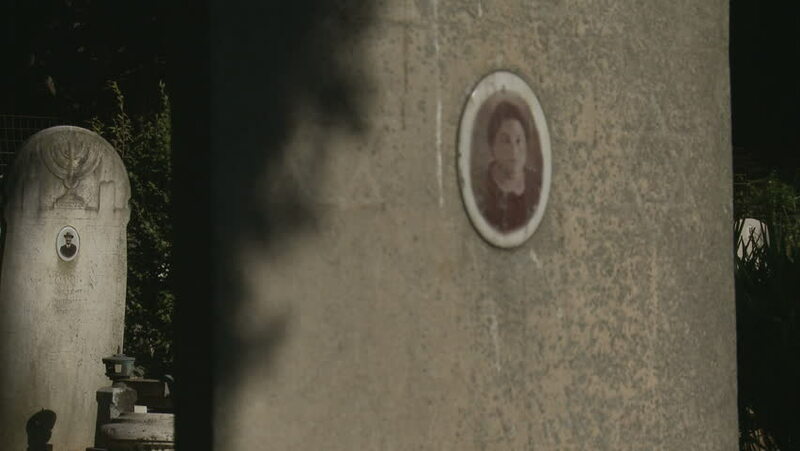 A few weeks before finding Norma Field’s gravestone with its missing photograph, I saved this image from a BBC television programme on the 1941 siege of Leningrad. 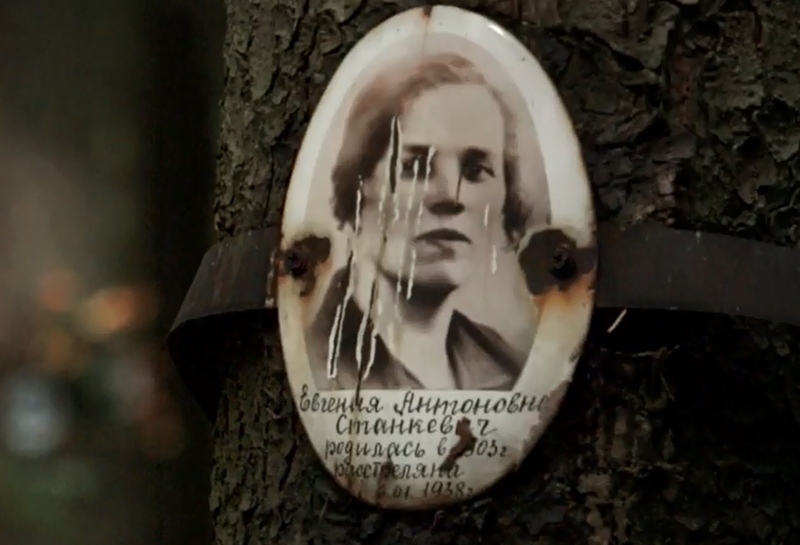 I don’t know how organised this memorial was, but people made enamelled photographs of family members who died in the siege and were buried in mass graves, and attached them to trees in a forest near Leningrad as a very haunting and beautiful memorial. It is not only during wars and genocide that there are unmarked mass graves. 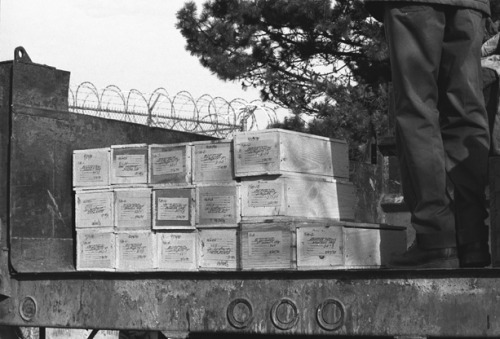 Quietly, silently, people have preferred not to think about Potters Fields, unmarked mass graves, supposedly for unknown people, but, at New York City’s Hart Island City Cemetery, there are mass graves and meticulous records for known paupers and newborn infants. Most or all other early Porters Fields in America have been built over or become parks. Only in the past 10 years have people begun to fight against the fact that there has been no way to find out where people were buried and no public access to the island. 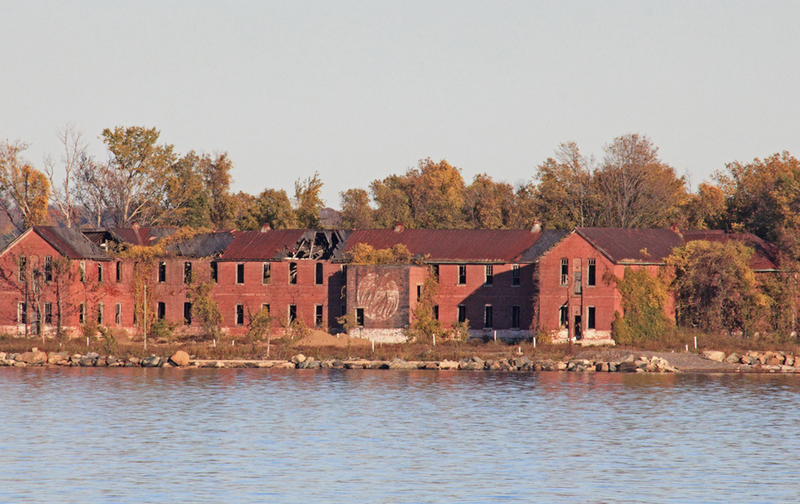 Hart Island, just over 100 acres, is run by the City Correction Department and maintained by prisoners from nearby Riker Island. It has been the resting place of about 800,000 paupers and infants from 1869 to the present. 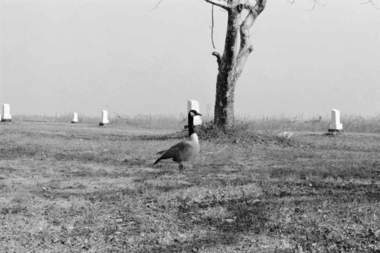 The tiny flat bleak island has only small white markers for each mass grave and a few derelict buildings which once housed military prisoners, Civil War POWs, World War II POWs, TB patients, psychiatric patients, a reformatory and drug addicts. Everything society has feared most has been hidden away at some point on this island. 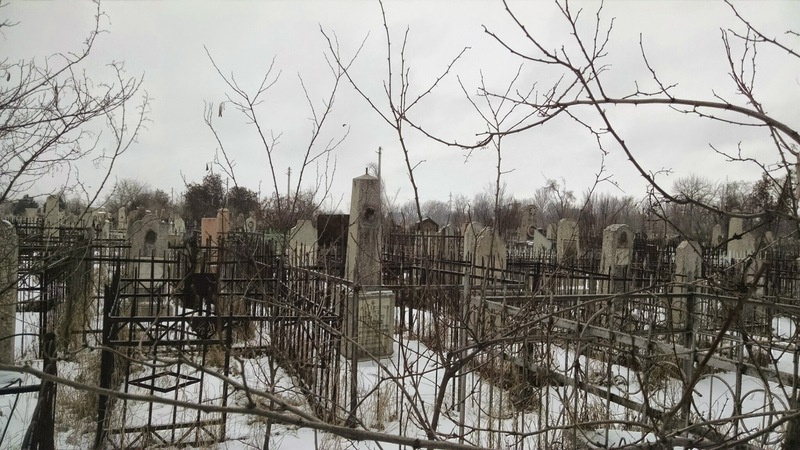 I discovered the island, in the way many people have recently, through the words ‘City Cemetery’ written on a death certificate, the death certificate of my eldest brother, born in New York City during the war, who died shortly after birth. 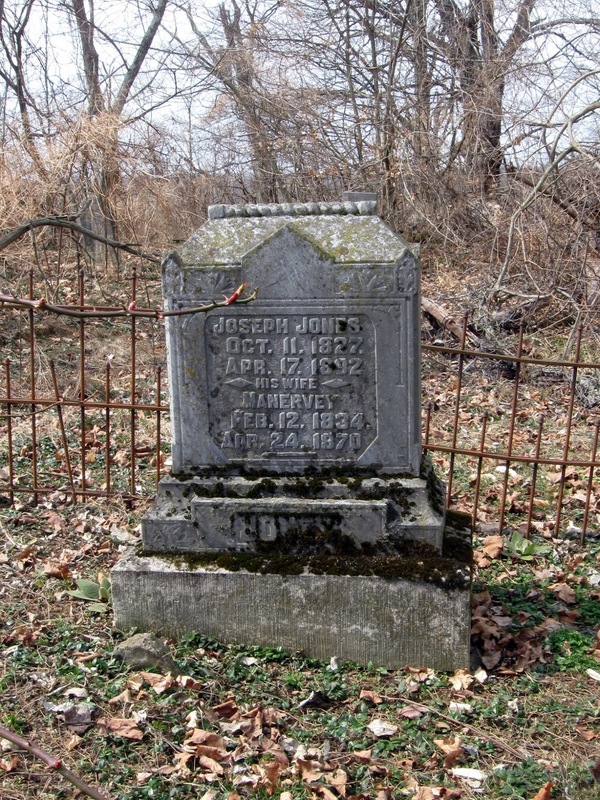 There are no known resting places or photographs for the infants and many others on this island. Now there is a searchable database of Hart Island records from 1980 and a map of the related markers (https://www.hartisland.net/). 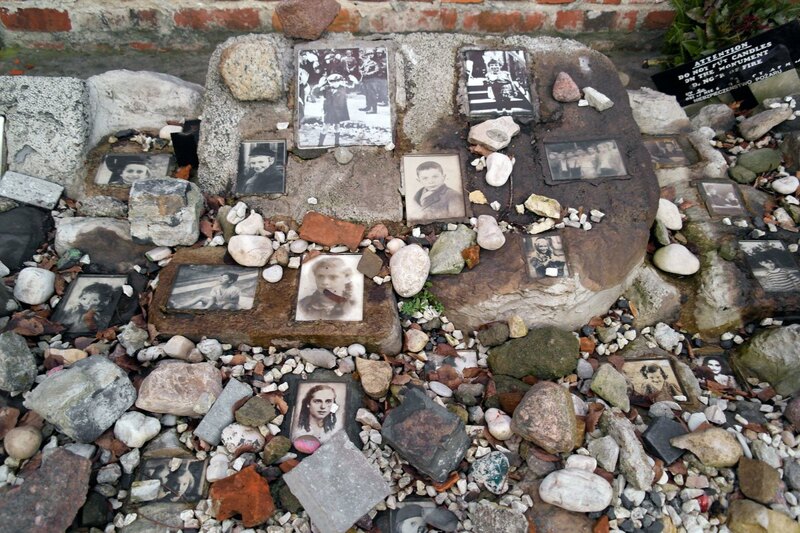 Returning to photographs, on the day of Auschwitz’s liberation, I came upon these images from the Okopowa St Cemetery in Warsaw of photographs and pebbles remembering children who died in the Holocaust. 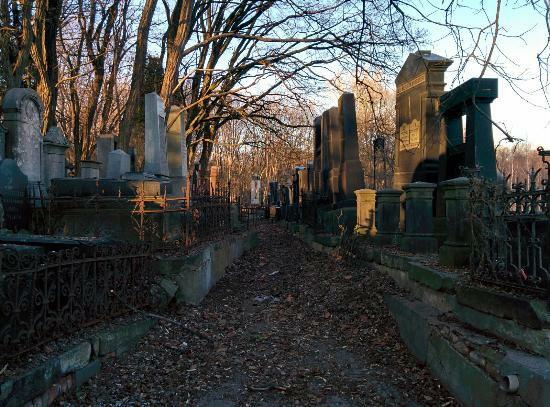 It seems incredible that this cemetery survived when most of Warsaw was destroyed. 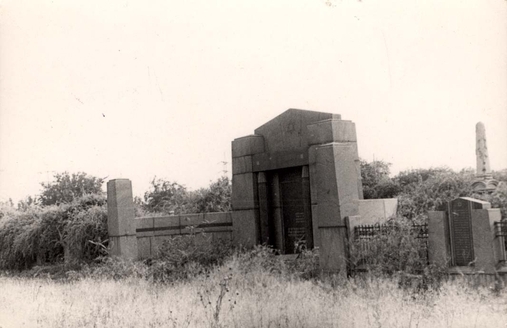 And to end with a photograph which particularly symbolises the forgotten victims of the pogrom – on the Yad Vashem website is one of only two post-war online photographs of the Odessa monument to the 1905 pogrom victims in its original position which is labelled ‘Odessa, Ukraine, Postwar, The gate to the Jewish cemetery’. 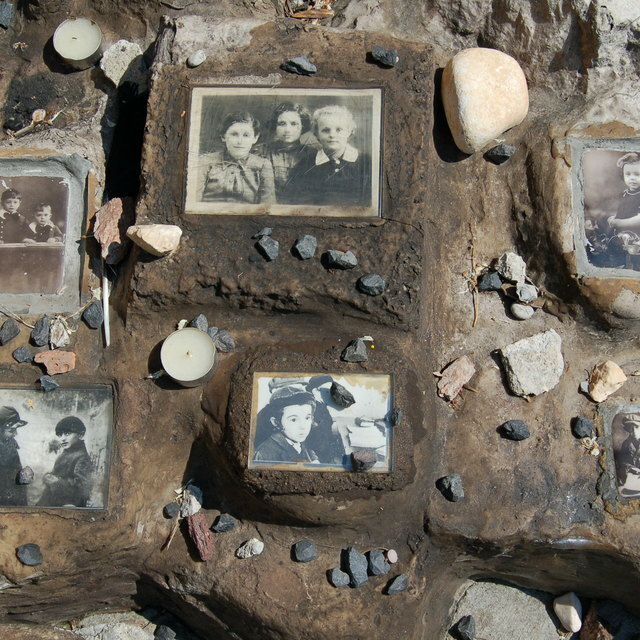 Yad Vashem, which memorialises victims of the Holocaust with its incredible database, research, education and exhibitions, is unaware that this photograph is a monument to 300 victims of the largest 1905 pogrom in Russia. My grandfather was Jacob Stitelman who was Golda Field’s brother…The story of her immigration is almost as sad as the story of the 1905 pogrom. She came to America with all of her children to meet her husband, Nathan. At Ellis Island it was found that two of her children, Jacob and (perhaps) Pauline had trachoma. 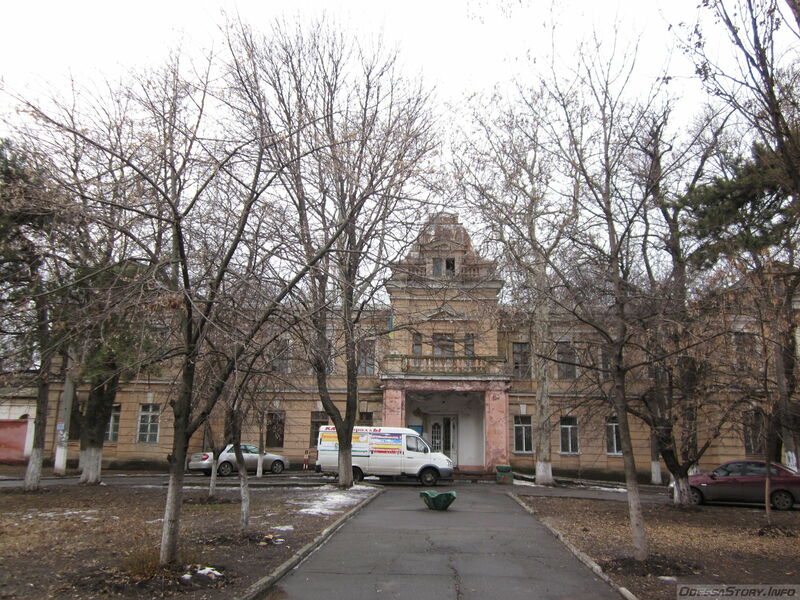 The oldest child, Esther, volunteered to go back with them, and they were treated for it in Odessa, and rejoined their parents a few years later. After the suicide of Nathan in 1912 Olga/Golda became a practical nurse, and spent much time away from the family. The children had to be taken care of by others. My father told me that Eva stayed with his family in Brooklyn for quite a while, and they were in the same class together in school… Another story that I got either from my father or Eva is that during the 1905 pogrom my grandfather’s sisters left the shelter of their house and brought Jewish children to safety. The story of Olga and Nathan is quite sad. My understanding is that theirs was an arranged marriage in Berdichev when Olga was quite young. 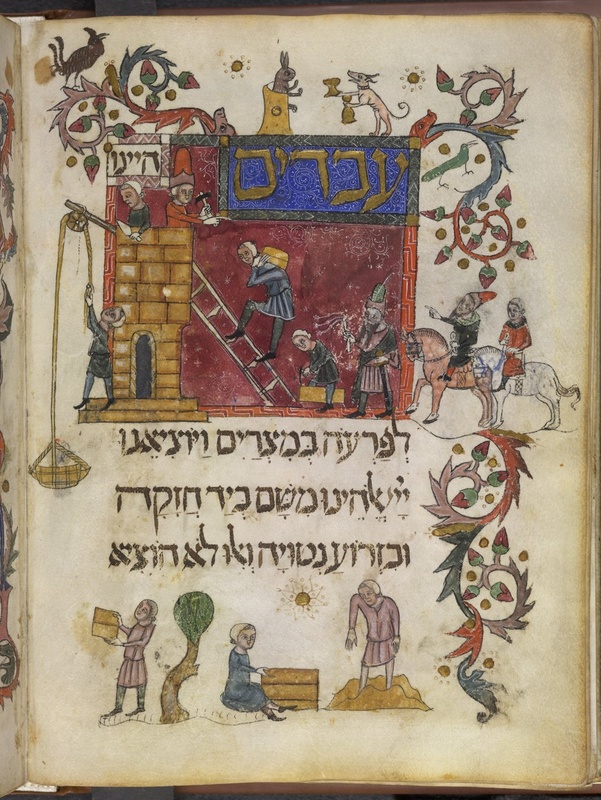 My Great grandfather, Avrum, was quite wealthy at the time, and I would suspect that Nathan came from a fairly wealthy family… Nathan worked in Southeastern Ukraine, and Morris Field (who I spoke to once in the 1970s) said that his earliest memory was getting lost in a pogrom…and being rescued by a kindly Christian. In any case, Nathan joined his brother in law, Max Skilken in Dayton, Ohio, and I imagine that selling fruit off a pushcart was quite a comedown for him. That as well as the stress of trying to support a family with seven children must have broken his spirit. In the early part of the Twentieth Century my grandfather joined Max in Dayton, and very soon decided that he didn’t want to have a pushcart. He and my grandmother returned to New York where he had a series of businesses, mostly laundries. Morris became a union organizer, and was quite prominent in Detroit. He was active during the 1930s in the union activities connected with the unionizing of the automobile industry. The cousin I actually met face to face was Esther Romm. She was married to Robert Romm who worked in the Washington Navy Yard. He was an expansive man who was always friendly and kind. Esther was more reserved, almost depressed I might say. She was the oldest daughter, and must have had a good deal of the responsibility for caring for her siblings once her father died…It was Esther who told me about her uncles and aunts. She did this rather reluctantly, but I was able to build on what she told me, and the information grew substantially after the internet. It was through the internet that I met Jacques Stitelmann of Geneva. It turned out that his great grandfather, Petakia (Peter) had died in a pogrom, and that Petakia had been my grandfather’s brother. Esther told me about a Peter who had beaten a policeman and was dragged to the police station and beaten to death. Jacques heard the story that there was a large pogrom in which the family was terrorized and at least one of Petakia’s daughters was violated. Evidently, this terrorism lasted for quite some time. Petakia was murdered at this time. Jacques placed the pogrom between 1903-1905, and thought it occurred at Yanoushpol. I suspect that it was actually in Odessa. I hadn’t realized that Nathan was a shoemaker. I had thought he did some kind of high level clerical work in Czarist times. I know nothing of Nechame/Nathaniel. I know there was a daughter Naomi, and I thought Nechame might be she. Most of the stories do add up, with a few discrepancies, to a coherent picture of an adventurous, well off, political and liberal family trying to make their way in early 1900s Russia. Avrum may have moved to Odessa in the 1890s or early 1900s, well before the pogrom, but his son Peter may have been killed in a pogrom in Berdichev or Odessa. 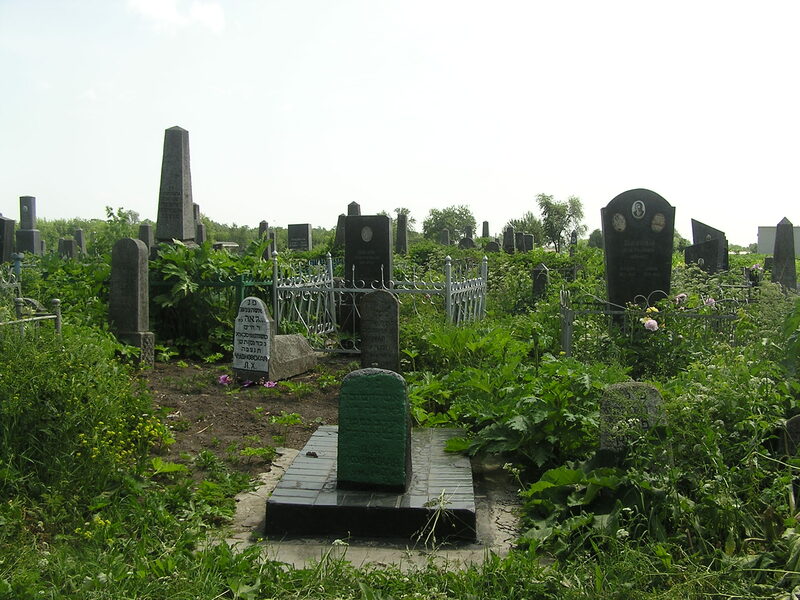 Berdichev did have a pogrom in August 1905 and according to a list of 1903-6 pogroms on the website Museum of Family History (museumoffamilyhistory.com), Berdichev had a population of 62,000 and over 50,000 were Jews. 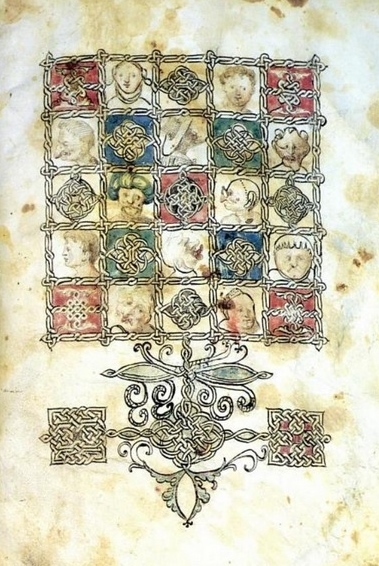 There is no mention on the list of how many were wounded or killed in Berdichev. 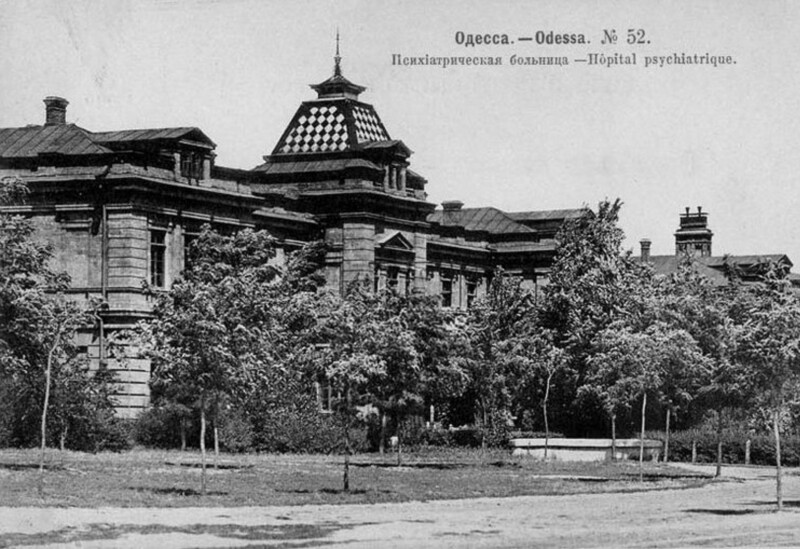 However, the Feld family had a child in Yanuspol near Berdichev in 1905, so could not have moved to Odessa before then, and may have moved after the August Berdichev pogrom. Of course, they may not have moved to Odessa at all as it was probably Nathan’s mother who died in the Odessa pogrom, and it may have been the pogrom in Berdichev or Yanuspol that Morris experienced, and the reason the family left the area for Batum. It is intriguing that the family story is that Golda travelled to New York with all her children, but that two, Jacob and Pauline, were not allowed entry because they had trachoma, and their older sister, Esther, volunteered to return with them until they recovered. However, Esther, Jacob and Pauline are not on the original ship’s list for 1908, so possibly the family realised the children would not be allowed to enter America and were kept in Odessa until they had recovered. They travelled with Esther just over a year later. It is difficult to gauge whether Nathan’s family was wealthy in Berdichev or Odessa. They did not own property in Odessa or have a business large enough to enter the 1904-5 directory, but if the Felds in Odessa were the same family they seem to have been relatively well-off. 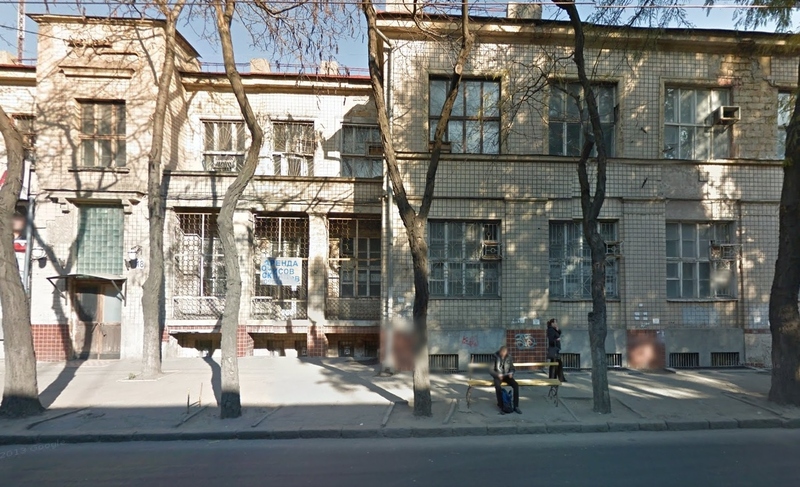 Nathan probably had a brother, Ios Zusevich, at 46 Kuznechnaya St in Moldavanka, on the Jewish business list in 1893, and in 1911, he had a fish business at 18 Primorskaya, the road that runs along the docks. Another Feld had a flour business in 1911. On Nathan’s death certificate, his father’s name is Zesia, which may have been another form of Zus. A mistake in the US records was made over the second daughter, Nechame, who appears in the 1910 census as a son, Niciomi. Possibly the census taker had forgotten to ask and had no idea whether the mistaken name Niciomi was male or female. Nechame became Naomi, which was spelt ‘Neoma’ on her 1917 death certificate. 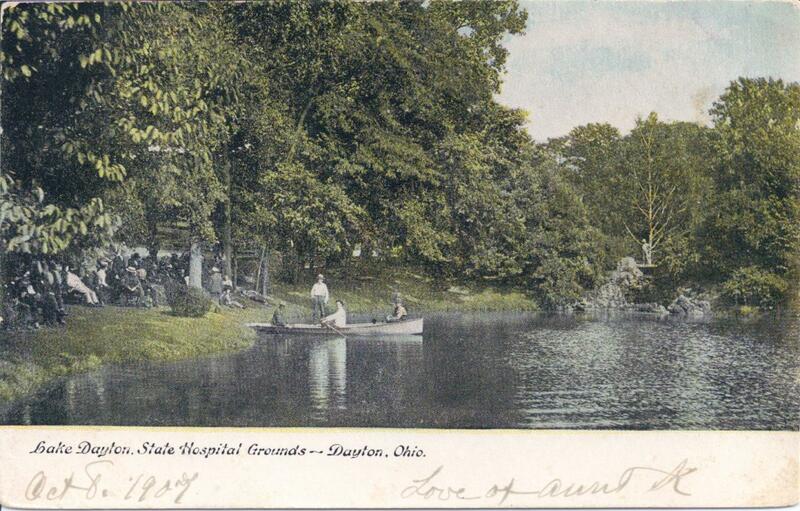 She died on 11 August at Dayton State Hospital from pulmonary tuberculosis complicated by dementia praecox (schizophrenia), which had developed five years and seven months previously, the time of her father’s death. The only other information about her on the death certificate was that she was Russian. Her parents’ names and the length of time she had been in Ohio were unknown, so none of her family seem to have been present. Her last name is also spelt incorrectly as ‘Fields’. I doubt that psychiatric diagnoses had a great deal of meaning in those days, and I feel sure that, although the Field family seem to have had a genetic predisposition to psychiatric illnesses, the difficulties in their lives over several years would have been more than many people could have withstood. Dayton State Hospital was the local psychiatric institution at 2335 Wayne Avenue, along the road from the house where Nathan died at 1335 Wayne Avenue. At first I read the two numbers as the same, and had a moment of imagining a prophetic mistake. 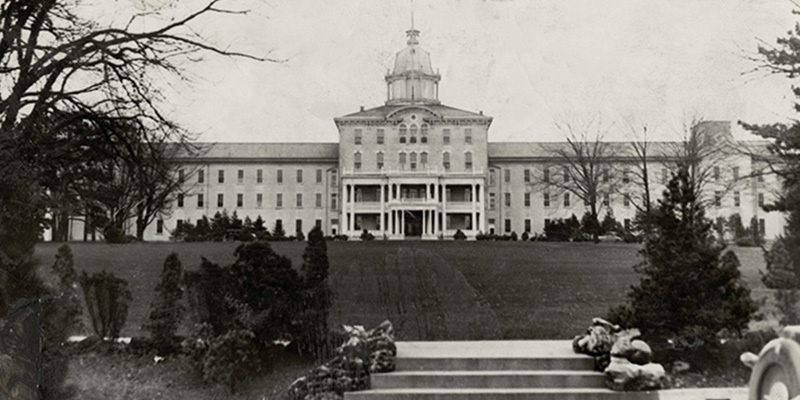 It was a huge institution in magnificent grounds, now the site of a retirement community. Large mental hospitals have been closed worldwide over the past 20 or 30 years, and people may be drawn to photograph the ruins because they seem to symbolise what we imagine was happening inside many of the inmates and their lost lives – the worn and broken but subtly variegated colours of the bricks and stones, rusty metal, the torn wallpaper and the scraps left behind in a heap on the floor, a shoe, a belt, a damp, stained report of a person who was once someone’s child. Although the death certificate stated that Nathan had died from an accident, he had apparently committed suicide and this must have been the final blow for Naomi. The children may have begun to develop their psychiatric problems at the time of the pogrom, after their father’s death or after Naomi’s. There was no end of tragedy in this family. Death certificates often do not mention suicide for various reasons to do with the family’s religion, the burial, the illegality at the time, or the feelings of the family. And in the northern and north-west districts, where the Jews and some workpeople live, whole rows of houses stood desolate. The marks of bullets were thick upon the walls. The empty sockets of the windows were roughly boarded over. 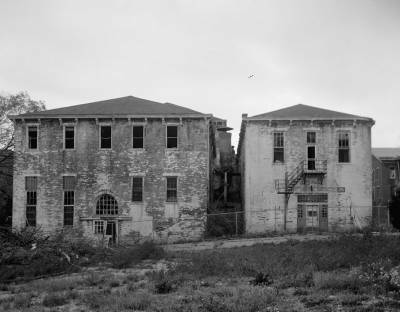 The roofs had been broken in or sometimes burnt away, and even on the main streets people pointed out the windows, three storeys high, from which babies, girls, and women had been pitched sheer upon the stony pavement below. 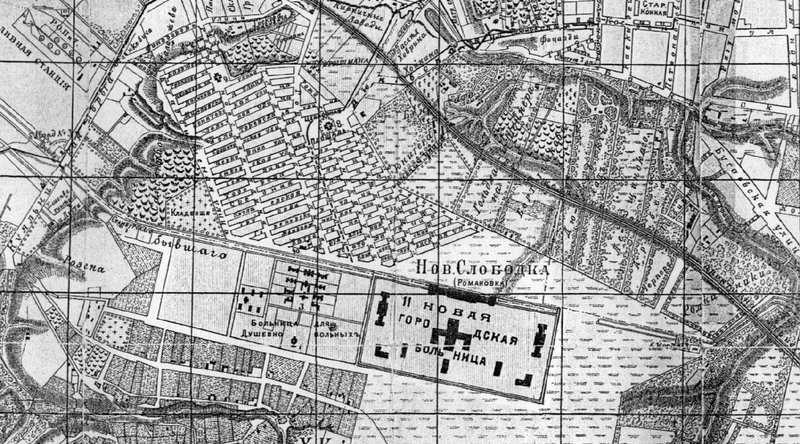 On the edge of this steppe stands a semi-detached town or large village, called Slobodka Romanovka, conspicuous for its madhouse and its hospital. Providence itself must have ordained the site of these buildings, for nowhere else upon earth’s surface could they have been more wanted. And, indeed, it was the Chosen People of Providence who wanted them most, for none of the rabid Christians who there hunted them down were afterwards confined in the asylum for mania. The village numbered about 26,000 souls, and there was hardly a house which did not still show the marks of wrecking and murder. On Neoma’s death certificate, there is the name of the cemetery – Riverview. On Nathan’s certificate the cemetery is called Riverside, and I found that Riverview Cemetery belongs to Temple Israel which is on Riverside Drive, so father and daughter were probably at the same cemetery. 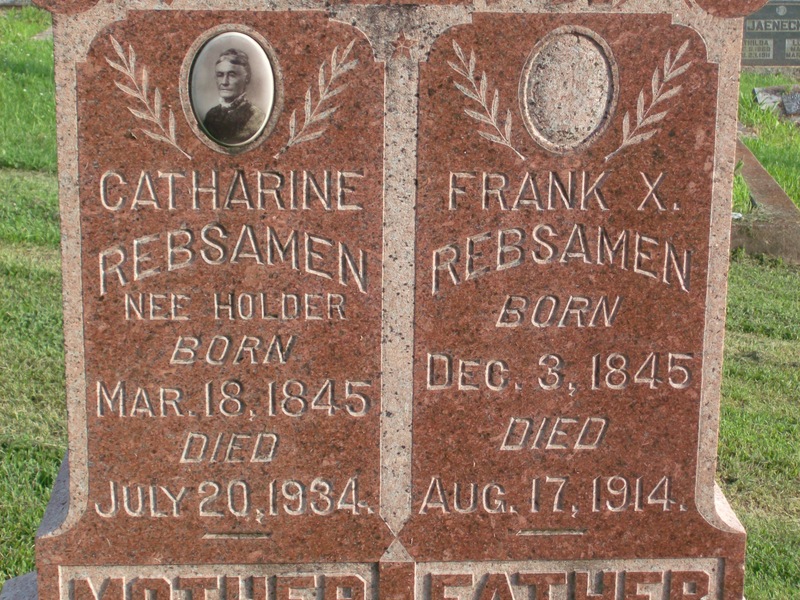 Searching for Naomi, I came upon the Find a grave website (http://www.findagrave.com/cgi-bin/fg.cgi ) with 15 people called Field in Dayton cemeteries, three at Riverview. One was an 18 year old girl who died in 1917 called Norma Field. There are no other Fields in the cemetery in the early 1900s. Naomi was 21 on her death certificate, which more or less fit with her age of 11 when she travelled to America in December 1908. It is difficult to know whether there are reasons for people to change someone’s age on a form. Could Norma have been Neoma? Checking the records, there was no Norma Field living in Dayton at that time. 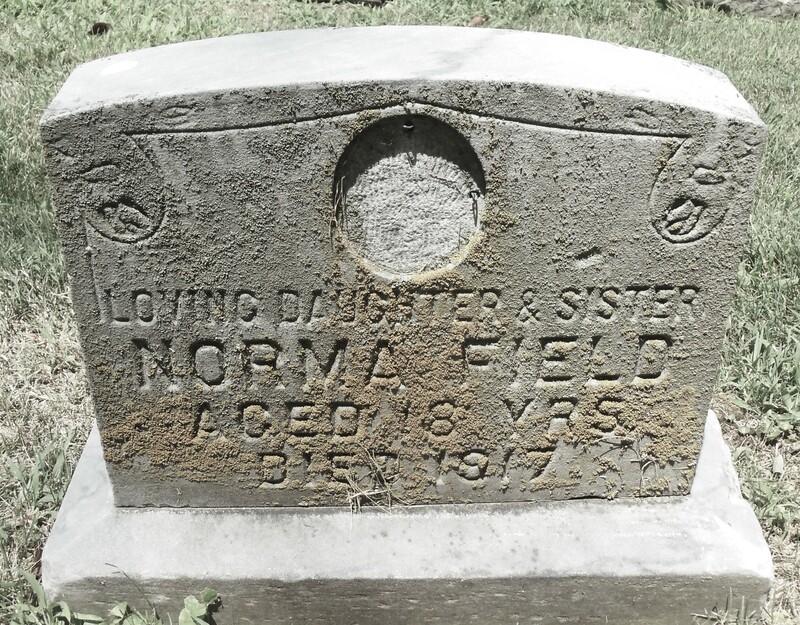 It is not likely that there would have been two young girls, Norma Field and Neoma Field, dying in the same year, buried in the same Jewish cemetery. 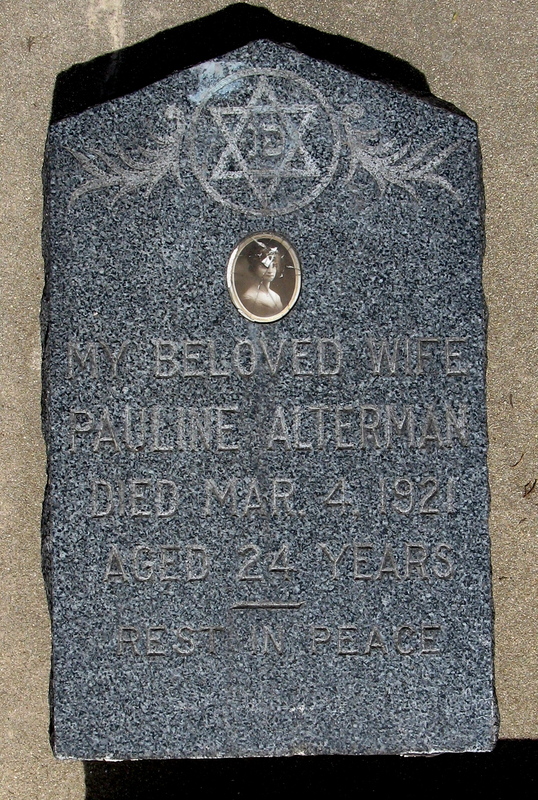 Many of the gravestones at Riverview Cemetery have been photographed. 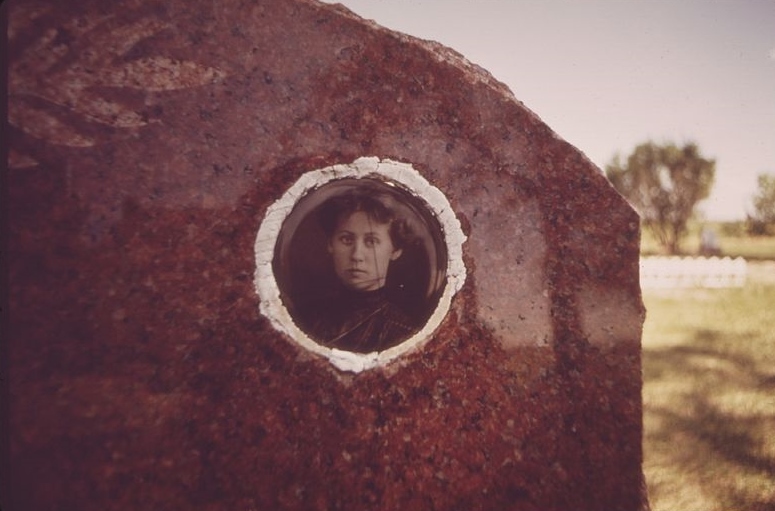 On Norma’s gravestone, there is a large hollowed circular shape above the writing which looks like it may have held a photograph. 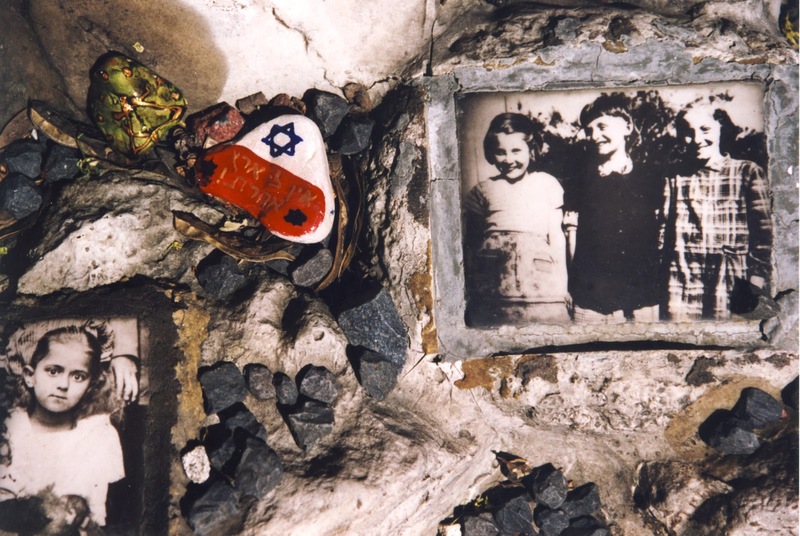 It seemed a poignant and appropriate symbol for Norma/Neoma and the people who died in the pogrom, people who seem to have no images and no stories – a gravestone with a gaping hole where a photograph had once been placed to keep her memory alive. There are two metal hooks which may have had something to do with holding the enamelled or ceramic photograph in place, unless there is something else that might have fit there. 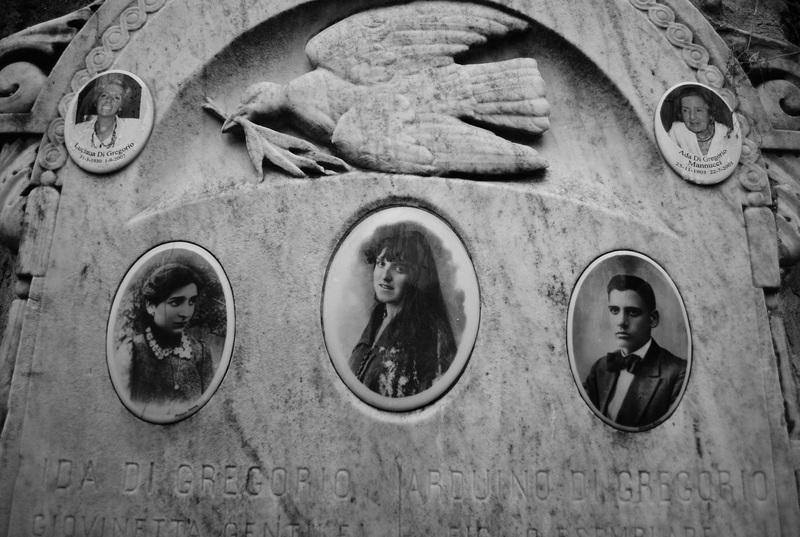 There are no other photographs on the graves at Riverview Cemetery. 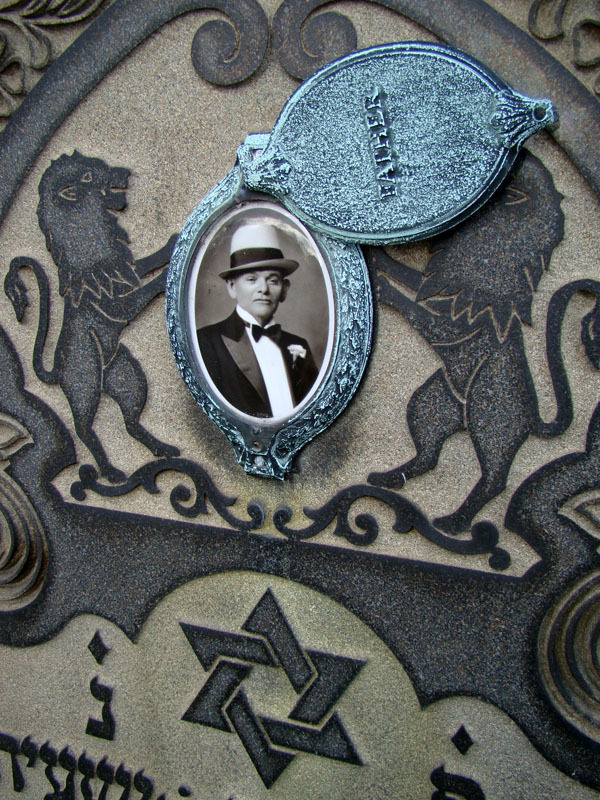 I had thought that Jews did not generally use images of people in their art or on graves, or at least I thought this until a cousin told me that an oval picture she had of our uncle who drowned at age 23 had once been on his gravestone. I had never seen a photograph of him and was shocked that one existed. 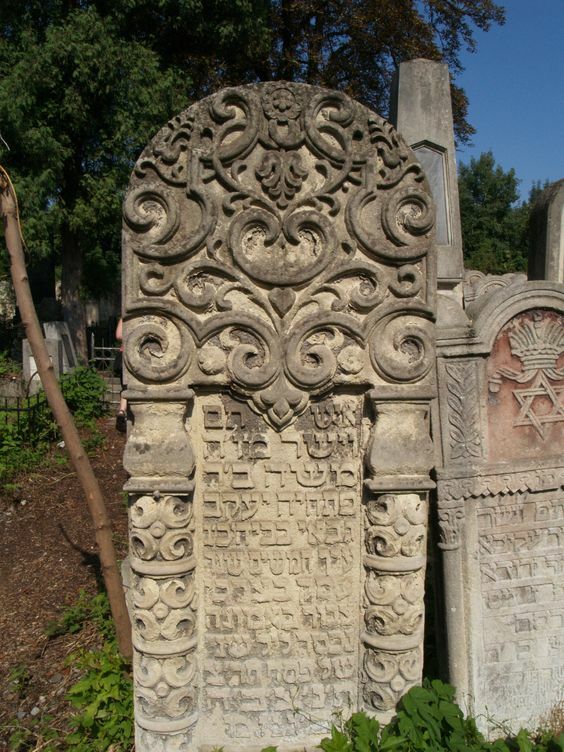 I had noticed that there were photographs on modern gravestones at the Jewish cemetery in Odessa and began to look and see when this idea took root and whether it derived from Russian Orthodox gravestones. 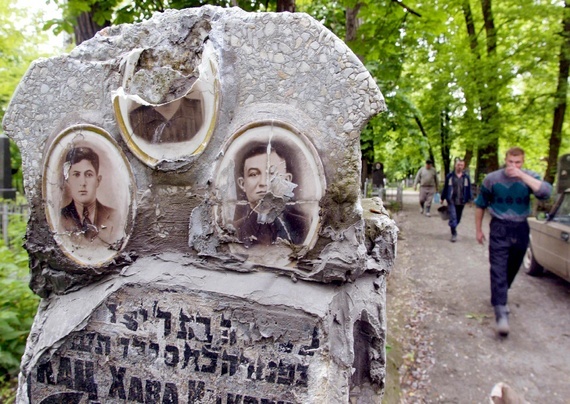 Photographs are used in Russian cemeteries so the practice among Jews may have begun in Russia. 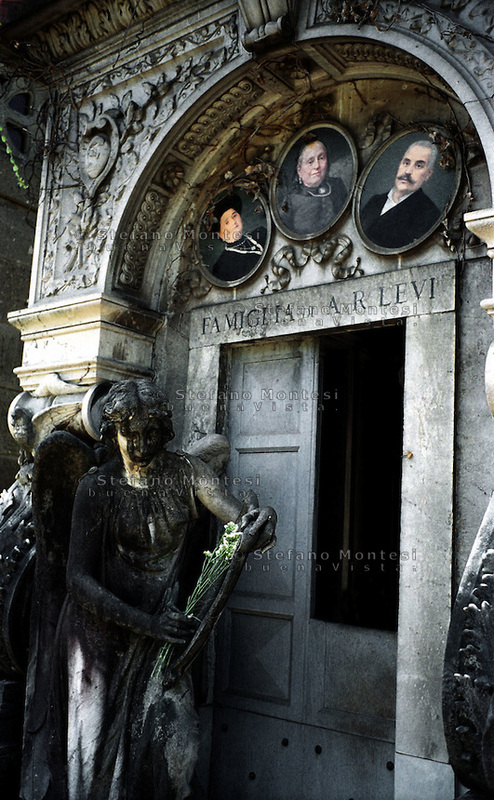 I had first seen enamel or ceramic photographs on Catholic gravestones at the Verano Cemetery in Rome, where painted portraits were used until the technology was developed for using photographs. 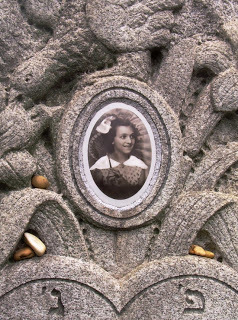 I had not noticed photographs at the Verano Jewish Cemetery, where my mother is buried, although there are some. 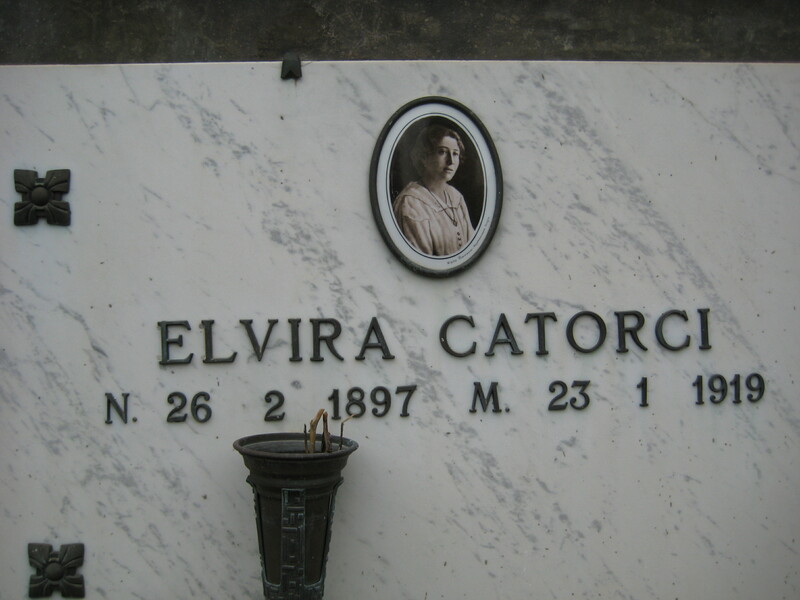 I first photographed a grave with a picture of a young woman at the old cemetery at Todi, Umbria, where my father was buried 20 years after my mother died. 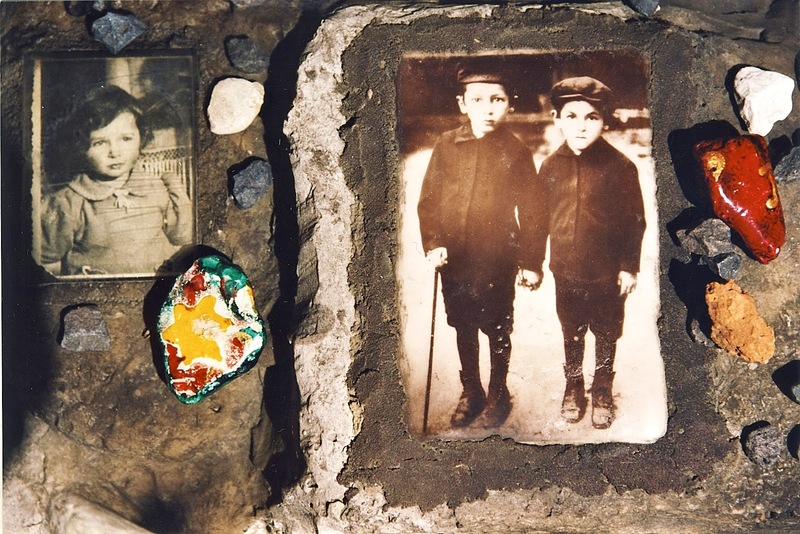 Putting photographs on gravestones seemed particularly suited to remembering or immortalising children or young people, like Norma Field or the young people in the pogrom records, whose parents would be thinking of them every day of their lives. But I wanted to understand more about how, when and where this strangely haunting practice had begun.